One of the eagerly anticipated features added to 9.2 was the addition of an out of the box Google Map Widget. Well, not technically out of the box, but at least a provided plugin with easy to follow instructions for setting it up. While the steps seem straight forward, I often see a lot of questions surrounding it. There`s also a surprise waiting for you if you're currently enjoying the plugin in 9.2 and haven't yet upgraded to 9.2.1. What are the features that determine the success of a BI tool? When is a BI tool successful? When the presentations are glamourous, when the presented data is according to what the users are expecting or when they are right? Those are just few of the questions I heard releated to the same subject: what are the features that determine the succes of a BI tools. According to experts, the effective measure of the value of BI is to quantify how much it contributes to the objective of the company of obtaining sustaining profitability. Is the BI tool helping the company compete on analytics, increasing market share and sales revenue? Are the managers making better decisions in order to reduce inventory investment or operating expenses? If the answers are yes, then your BI is contributing to the fundamental goal of the company, measured in terms of Net Profit, ROI and cash flow. But, according to Gartner, this is not easy though, because almost 80% of Business Intelligence implementations fail. And the main reasons are poor data quality and difficult to use BI interface. So the isuue is how to let management understand that in first phase of the BI traject data quality is poor, how to manage that fact and how to improve that quality. These two apects are key items in making a BI traject successful and need to be addressed properly. And must realize that every human being will preferably stick to what he is used too. In conclusion, for being successful, the BI tool must be simple, elegant and scalable. MicroStrategy 9.0.2 included a new Web mode called Express to Documents. In the same release, MicroStrategy removed the antiquated View mode from Web, which was a static view of your Document. Considering the push for interactivity, this was an inevitable evolution of the product. In reality, if you don't build any interactive components, then Interactive and View mode were effectively the same thing. MicroStrategy offers a lot of built in manipulations that can be performed directly within the URL. This can provide a lot of benefits for seamlessly linking to MicroStrategy reports from either within MicroStrategy itself or from an external system. The URL API may sound complicated, but its actually really simple and doesn't require any actual programming or extra licenses. This makes it the ideal tool to perform some neat tricks and even some basic "free" customizations. Before you can start modifying the URL for a report or document, you must first obtain it. DO NOT ever take the URL out of your address bar. This usually contains extra information that's specific to your current session, or it's missing crucial information that is already stored in your session. Once you've got the base URL, you can start adding/modifying it. The most common task to perform is to automatically answer Prompts. This is useful when linking to reports or documents from an existing report or document and you want to automatically answer some or all of the prompts based on previous knowledge, either because you know what the user clicked on or you know what the user previously answered. MicroStrategy Cloud (MSC) is the first cloud service purpose-built for the world's largest data volumes, high concurrency and high performance. MicroStrategy Cloud scales dynamically in response to demand, from tens of users to tens of thousands. MSC is also configured, optimized and maintained by MicroStrategy, so organizations no longer have to worry about provisioning hardware, tuning the architecture, or upgrading software. MicroStrategy Cloud customers can connect directly to their on-premises or cloud-based data sources via MicroStrategy’s multisource capabilities. In addition, customers can opt to build and host their own database on the MicroStrategy Cloud through integrated database and ETL (extract, transform, and load) options. Compared to traditional on-premises BI approaches, MicroStrategy Cloud is quicker to deploy and more flexible, delivers world-class performance, and offers significant financial advantages. MicroStrategy Cloud eliminates inefficient and risky processes related to planning, architecting, sourcing, contracting, budgeting, hiring, training, installing, testing, deploying, and more. And it is designed to deliver the highest available levels of security and operational control. Recently, I took part in a very interesting discussion on Linkedin about open source vs. closed source BI tools. It wasn't a general discussion on closed vs. open source. It was a discussion about Frankenstein BI (as closed source followers called the open source BI tools) and Big Businesses BI (term used by open source advocates to define closed source BI). MicroStrategy Gateway for Facebook, one of the most recent enterprise product launched by MicroStrategy, is a new cloud-based service that interconnects enterprise IT environments and enterprise applications with the Facebook social graph. MicroStrategy Gateway converts the Facebook social graph data structure into a relational data structure, making it instantly suitable for enterprise applications like CRM, marketing, service, sales, loyalty, and mobile applications. By enabling bidirectional data flow, MicroStrategy Gateway lets you add social intelligence from Facebook to enterprise applications, and enterprise applications can interact back with the social network. With MicroStrategy Gateway, a wide range of developers and technologies are now building social intelligence, personalization, and social interactivity into their applications. Even custom-built Facebook applications can use MicroStrategy Gateway as a simpler and more efficient access mechanism, particularly when the queries require a real-time response. You can sign up for a Webcast on August 24th for more information about MicroStrategy Gateway for Facebook. One of the main goals of Business Intelligence is to organize and distribute metrics on the performance of the business. But one of the trickiest things to measure is the performance of the BI platform itself. A few statistics about BI performance are relatively easy to obtain and quantify, such as usage data drawn from the logs of specific tools or portals. One trend that jumped out from Gleanster survey is that almost all companies seem to be more focused on metrics tied to business outcomes and not at usage metrics, which are easy to measure but not as valuable to the business. 1. Time-to-decision / time-to-response for information requests. The majority see BI as a business accelerator, a tool for driving faster, better informed decision making. But this may be a somewhat subjective measure for high-level strategic decisions. 2. Information comprehensiveness, accuracy and consistency. Audit for desired quality measures, analyzing extracts from the data warehouse to identify missing or incomplete data. By scoring for information quality, set goals for improving it and make specific plans to correct the inaccuracies. 3. Volume / quality of actionable insights. Track the number of decisions that can be traced to data or patterns exposed by BI tools. Work toward continuous improvement of both quality and quantity. 4. Financials (revenue, operating margins, etc.) Look for evidence that the BI strategy is making the company more valuable. If the evidence is not there, reconsider both the data and the models used by the BI platform. Finally, track if decision makers are, in fact, using the BI, cause a system that is not being used will never achieve its intended results. 5. Number of active users. How many users have accounts on the BI platform, compared with the penetration you would ideally like to see across the organization? How frequently do they access the system? Those are the questions raised by survey participants. 6. System usage (number of queries, dashboard views). Almost three out of four Top Performers cited number of users and technical measures of system usage as important metrics, a higher percentage of those in the Everyone Else category focused on these things over speed of decision making or quality of insights. According to survey participants, is important to find the answers to the following questions: How many times per day are BI tools employed, overall and by targeted classes of business users? Is that number rising? What parts of the BI platform are getting the most use? 7. Employee performance / productivity. Employees ought to be more productive when they do not have to waste time compiling reports or searching for information that is now readily available through the BI platform. 8. Employee satisfaction. By making measures of individual and departmental performance clearly understood and readily available through dashboards and reports, the organization provides employees with more control and eliminates uncertainly. At MicroStrategy World Europe event helded in Monte Carlo on July 2011, MicroStrategy announced two new enterprise products. MicroStrategy Gateway integrates with Facebook and allows you to easily query and analyze against the richest customer information database ever built. An iPhone app has already been created based on this technology and is available today for free as well as a free Facebook data mining service. MicroStrategy Cloud moves MicroStrategy into the service hosting business with multiple offerings including the ability to be truly elastic in increasing and decreasing resources on the fly or even using MicroStrategy hosted application instead of your own system and administrative resources. It should be no surprise that data-driven decision making is more effective than relying on managers’ intuition. Research clearly shows that analytics oriented organizations largely outperform their peers. After talking about Topic Overview, Reasons to implement and Value Drivers, it is time for „Challenges” in Business Intelligence. As it appears from Gleanster`s report, departments and divisions need to be convinced of the benefits of sharing information for analysis, rather than hoarding it for other advantage. „Data quality problems must be overcome before managers will have confidence in the analysis produced. And to produce better business decisions, the analysis must be focused on core business problems”, it is shown in the report. And, according to „BI Best Practices Brenchmark Report”, none of this is easy. 1. Breaking down data / departmental silos. - this was the top challenge cited by all companies surveyed. - business units that have been accustomed to managing their own data may be reluctant to share it, even when that sharing is essential at the corporate level. Consolidating data from many databases can be a challenge, but it’s also one of the things BI tools are built for. 2. Integrating with CRM and other systems. - much of the data that’ll be consumed by the BI system is likely to be found in packaged enterprise applications (ERP, CRM). - an overarching BI strategy needs to address these integrated reporting tools and how they can be coordinated with the broader platform. 3. Achieving acceptable data quality. - data quality needs to be high enough that all the most important broad measures of business performance are reflected in the BI system. - once users of the system learn to doubt the accuracy of the information contained within it, winning back their trust will be extremely challenging. - the data needs to be meaningful and suggest an appropriate course of action. - this means working with different constituencies to understand what data they find most useful and the ways that they commonly act upon it. 5. Tracking and measuring success. - measuring the success of a BI initiative requires imagination, but it’s essential to the program’s success. - track progress in every area from data quality to user satisfaction with the answers they are getting. 6. Getting managers to use data over “gut instinct” decisions. - managers who have been successful in the absence of good data may have trouble adjusting to its easy availability. - unless data-driven decision making is integral to the corporate culture, many managers will continue to go with their gut instincts, even when the data says those instincts are wrong. 7. Securing the right organizational resources. - to provide proper training or build a BI-competency center may mean hiring employees or consultants. 8. Deploying the right enabling technologies. - besides securing the budget for purchases, determine which technologies will be most effective. - balance risks versus rewards. 9. Making the business case in terms of ROI. - Business Intelligence by itself does not improve business efficiency or profitability. - anyway, selling or expanding a BI initiative requires a convincing argument, one that ultimately will translate into financial rewards. I once worked on a very large projet where there were so many users and reports, that the team decided to build and maintain a Site Map. This provided users with the ability to quickly find reports and browse what they had access to overall. This was a manually maintained Document, and as new reports rolled out they were considered for whether or not to be added to this Document. And if folder structures changed, then there was a lot of work for someone to do. This was conceived in the 8x days before the Tree Folder Navigation option introduced in 9x, but it still has some usefulness for large projects. According to the „BI Best Practices Benchmark Report”, „investments in BI pay off the most for organizations that are serious about doing it right. They take the time needed to fight the political and technical battles needed to ensure the information they analyze is complete. They root out errors to make sure the analysis the tools produce is trustworthy. And most of all, they create custom views of the data for key constituencies, so that leaders from the CEO and CFO on down have immediate access to information on the trends, opportunities, and threats they must address for better performance”. 1. Customized user interface / dashboards for specific roles. - the CEO, the director of human resources and a call center manager should have different, at-a-glance summaries and graphs of the key performance indicators (KPIs) that are most relevant to their responsibilities. 2. Integrate data across departments and applications. - in large organizations, it’s common to have several different BI tools used by different departments. - in such cases, to expect absolute homogeneity may be unrealistic. 3. Foster a culture of data-driven decision making. - as a result, anyone who wants to get a raise or a promotion will have every incentive to consult the BI system, too. 4. Implement process for continuous data quality improvement. - data quality will never be perfect, but it can always be better. - improve validation at the data entry stage or cross-checking reference data such as customer addresses against public databases. 5. Demonstrate improved planning, operations and other outcomes. - look for areas of inefficiency and show how the company can improve planning, budgets, and boost productivity and profits. 7. Deploy alerts / notifications. - giving managers the ability to retrieve data is not enough, particularly if they are being tasked to respond quickly to threats and opportunities. - a notification system, who provide an alert when a threshold is exceeded (e.g. a spike in supplier prices or demand for a given product), can be mapped to existing roles within the company. - while BI tools uniformly promise to be easy to use, some employees will require training. - improve the interpretation of the results by developing staff with the requisite knowledge and experience. I'm curious. What is your list? BI implementations are driven by a variety of immediate business needs and long-range strategic goals. Organizations in pursuit of operational excellence are often motivated to promote data-driven decision making. According to BI Gleansight study, „just as often, the move to establish or enhance the BI platform is driven by a recognition of gaps in current analytic capabilities, where information that should be readily available is too hard to obtain”. Analyzing all 273 responses received, Gleanster achieved a top 9 of the most important reasons why a company should use BI tools. 1. Make smarter business decisions. - by making the facts of the business readily available, BI eliminates guesswork. - by making the meaning of facts and statistical trends easier to understand through techniques like visualization, BI promotes better interpretation of information. 2. Identify new revenue / growth opportunities. - which products and categories are hottest now, based on total revenues or growth? - what do customer service calls tell about customer frustrations or new and improved products and services? 3. Reduce operational costs and waste. When it’s time to examine the budget, all companies need to know where the money is going. - while some of that information is available in standard financial reports, BI proves its worth by allowing a drill down from high-level summaries to more detailed information. - at a minimum, one can identify the areas with the greatest cost growth to be scrutinized and the managers whose cost control discipline deserves to be rewarded. 4. Make timely course corrections. 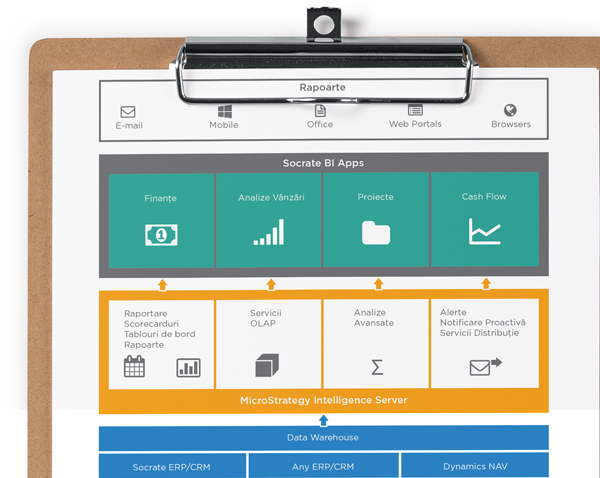 - by speeding the collection and analysis of key metrics, BI gives managers the information they need to make adjustments throughout the month. 5. Identify competitive threats and risks. - by gathering the right information and presenting it in the right way to the right people, a company can expect to have an early warning system for dangerous trends. - one of the best applications of BI is in the context of customer analytics, specifically learning who are the most profitable customers and why. - BI can help with the process of segmenting customers according to common characteristics and track whether changes in strategy or tactics are having the desired effect on customer profitability. - BI systems make important and commonly requested information readily available, improving the productivity of managers and workers alike. - BI can power a performance management dashboard that tracks employee productivity in general. 8. Reduce time to market of new products and services. - by using BI to systematically track operational efficiency and tie it to a program of continuous improvement, you should be able to impact operational metrics like time to market. According to „BI Best Practices Benchmark Report”, this was one of the areas where they saw a gap between Top Performers and Everyone Else, with the leading companies giving a 10% higher ranking to reducing time to market as a reason for implementing BI. 9. Measure employee and departmental performance. - BI provides a consistent and systematic way to measure the performance of companies, departments and people. We just released a service pack for SocrateOpen 2.6, which contains corrections&enhancements required by our clients.